Change lives today with our Ameen campaign, by giving your Zakat, Sadaqah and other donations to those in need! offering us the perfect opportunity to reflect and grow closer to Allah (SWT). Ramadan falls within the ninth month of the Islamic lunar calendar; it is a time when we must all follow the wishes of Allah (SWT) and the teachings outlined in the Holy Qur’an. To many millions of Muslims around the world, Ramadan is far more than a month of fasting during daylight hours. This month allows us to realign ourselves with our faith, reflecting on our deeds and recognising the acts we can do to attain greater rewards - both now and in the Hereafter. Ramadan is a time for faith and for family, for self-awareness and education. As one of the most significant events in the Islamic calendar, it represents the faith that we follow and reminds us of the importance of equality, generosity and compassion. During Ramadan, the good deeds and acts of kindness that we complete provide us with 70 times the amount of rewards we would obtain in the rest of the year. Ramadan is the perfect time to share your own good fortune with those who are less fortunate, be it through your Zakat, Sadaqah or other generous donations. Giving to others is one of the fundamental pillars of Islam; Ramadan reminds us of the importance of such actions. For 27 years, Human Relief Foundation has been committed to helping vulnerable people in need around the world. Throughout the month of Ramadan, we are dedicated to delivering your generous donations to those who are most in need. 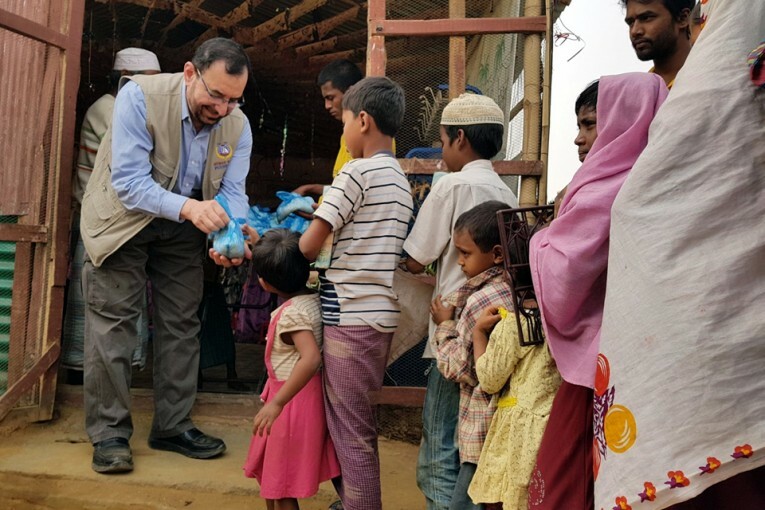 With your support, we are hoping to provide clean, safe drinking water and vital food packs to our brothers and sisters across the world this Ramadan. We also aim to provide life-changing support to vulnerable orphans and refugees from countries like Syria to work towards a brighter future for people in need across the world. This Ramadan, join our ‘Ameen’ campaign and donate your Zakat or Sadaqah to make a real difference to the lives of people around the world. See how your donations make a difference. Follow us on Facebook, Twitter and Instagram.